Step 1: What are veneers? Veneers are thin porcelain restorations that are bonded onto the front of the teeth to change their shape, size, colour or alignment. You may be a candidate for veneers. Before your veneers are installed, your oral health must be in good shape. Resolving issues such as decay, gum disease and teeth clenching and grinding prior to getting veneers is an important step. The first step is to ,strong>schedule a consultation so that we can decide together if veneers are the best option for you. 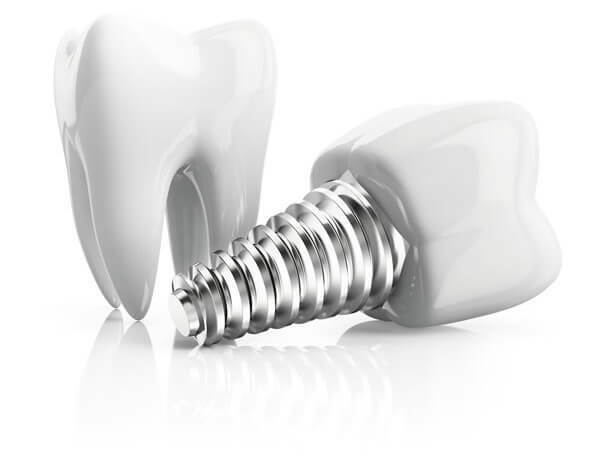 From there, we can schedule additional appointments to fabricate your veneers and prepare your teeth. Step 4: Do I need an exam? Yes. 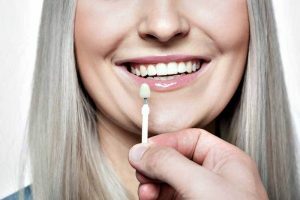 An exam prior to treatment should be performed to make sure veneers are the best treatment option for you, and to evaluate your oral health and the alignment of your bite. X-rays and photos may also be taken to help ensure you maintain your oral health throughout the process. Step 5: How are veneers made? Sometimes we do a wax-up mock-up to show you how your teeth could potentially look. The mock-ups are used for the template temporaries while we wait for your permanent custom veneers to be fabricated by our dental technician. Step 6: What about my gums? The gums surrounding the teeth that will be covered by veneers are also evaluated. In some cases, recontouring the gums in conjunction with the veneers can help you get optimal results. Step 7: How are my teeth prepared? The dentist will remove a thin layer of enamel from your tooth to make room for the veneer. Once the desired amount of reduction has taken place, an impression is taken so that the permanent custom veneers can be fabricated. Temporary veneers are placed at this time to protect the teeth and tissue. Finally, we take pictures and impressions of the temporaries so that the dental technician has an exact replica of what is in your mouth. Step 8: How long does it take to get the permanent veneers? Two weeks after the preparations the permanent custom veneers are cemented. Step 9: What about the cost? Gum re-contouring and veneers start at $1560 per tooth.